Mohamad, a devout music lover, lived a calm life running a cafe in Aleppo prior to the revolution. Like Ibrahim, Mohamad was a disciplined student of the enigmatic music teacher, Sheikh Seif. With the start of the war, he threw himself into humanitarian work until it was no longer safe for him and his family to remain. He escorted his wife and daughters to Beirut, took a refugee boat to Greece, and sought asylum in Holland. 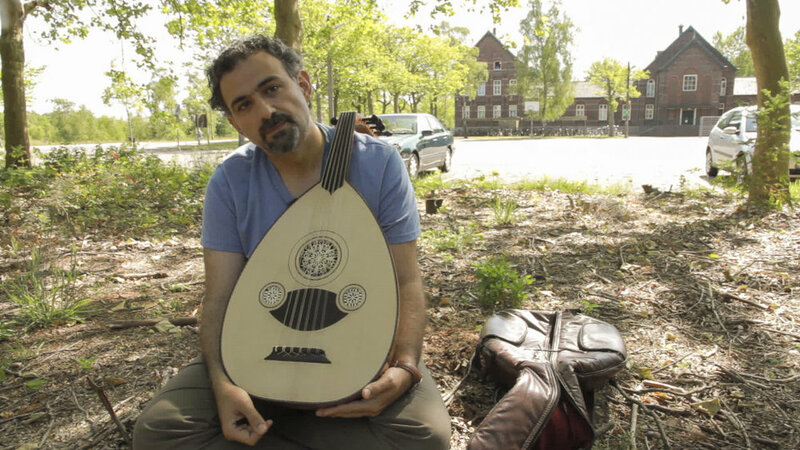 Awaiting his family’s arrival in a rural refugee centre, he passes time practicing oud and contemplating his transformed relationship to life.